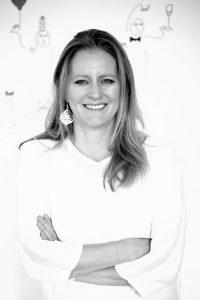 When – in 2006 – Kajsa Blomberg created the company kbizz (representation for creative talent), everything fell into place: her law degree with specialisation Intellectual Property Rights, her international career at Universal Music and her genuine passion for culture. Kajsa soon proved to be of great value to her artists. In a relatively short period of time kbizz developed into an established and well-known agency for artists, theatre makers, authors and illustrators. Kajsa has a large network in the media and entertainment industry, as well as the book and (character) merchandising business. With her original and innovative ideas, she constantly finds opportunities to develop talent in a positive and commercial way. It’s not just about the ideas but about actually realising and implementing them. That’s what Kajsa is all about.